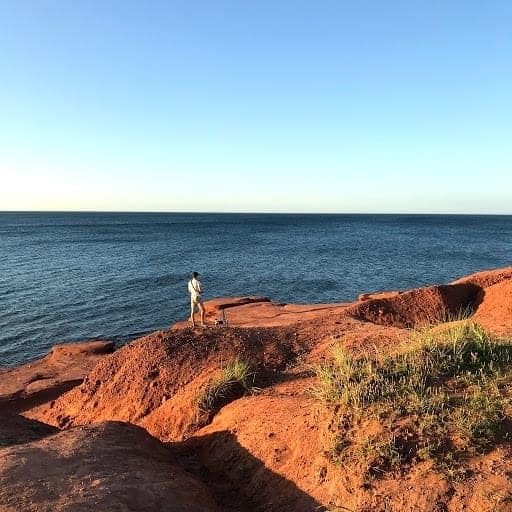 When our friends Mark and Rachel from The Wanderful Way brought up the idea of traveling together to Prince Edward Island and Nova Scotia this summer, they didn’t have to ask twice. We said ‘yes!’ and the planning started. 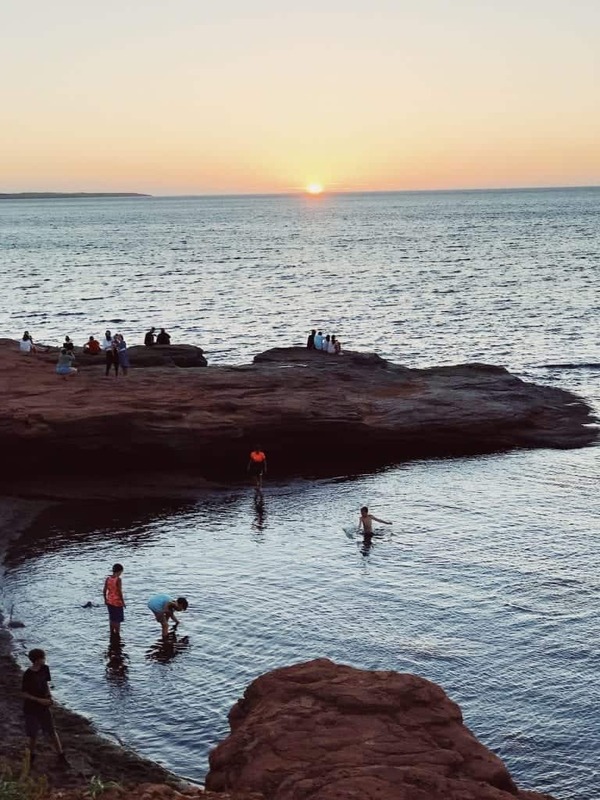 Thankfully they had some inside info on PEI Campgrounds and booked us a week stay that ended up being the perfect location for our families. Last summer, we found ourselves rolling into Canada after only about two months of full-time RVing. Our daughter, who’s only with us during her college breaks, told us she would love to get to Canada that summer. So we raced north from Texas (with a few stops along the way) to Canada and crossed the border on July 23, 2017. 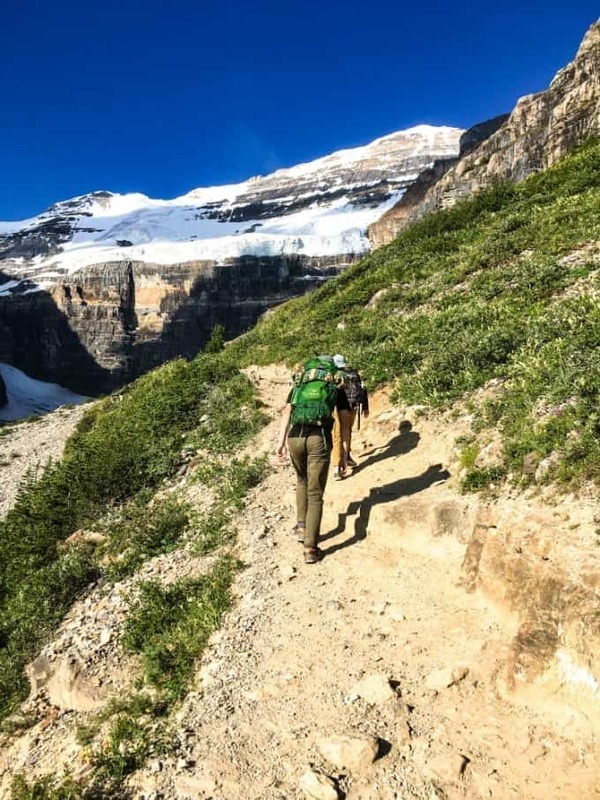 From eating at the Whitehorn Bistro with a view of Lake Louise, to hiking to a remote tea house in Banff and staying at a cidery in Kelowna through Harvest Hosts, it was one unforgettable visit. Being able to finally visit that part of Canada was a dream come true after hearing about the beauty of Banff National Park for years and years. It did not disappoint and we’ll be back for a visit someday. But, even with my little knowledge of the books, movie and Netflix series (I watched the first episode of Anne when we arrived and now understand why people love it so much), I fell in love with this place and I know you will too. 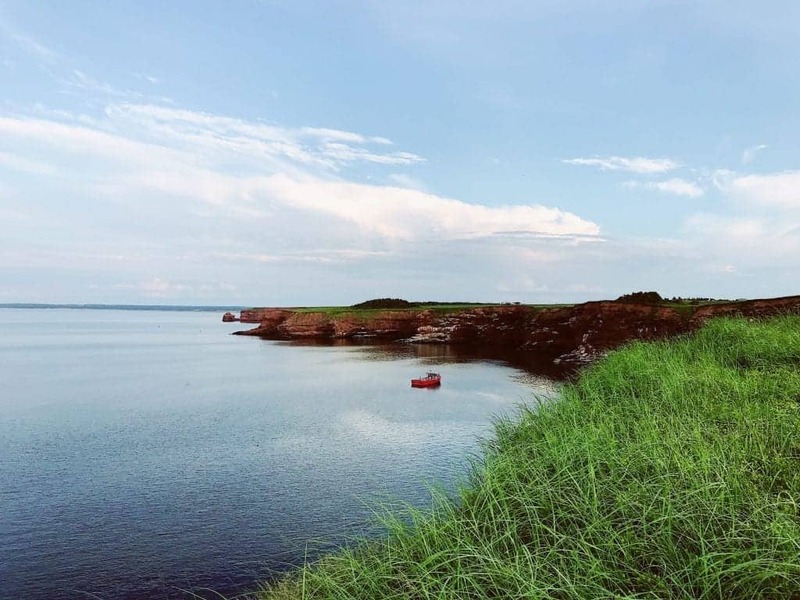 Before we get into everything about Prince Edward Island campgrounds, I know some of you may have questions about crossing the border into Canada. I know we did! We’ve done this twice now and each time it’s been no big deal. Our friends own a dog, so they had to get a rabies shot and updated certificate for him in the U.S. and have that paperwork available to cross the border. They had no issues at the border crossing either and neither one of our rigs were searched. It was about a 2-minute process and we were on our way to beautiful Canada! 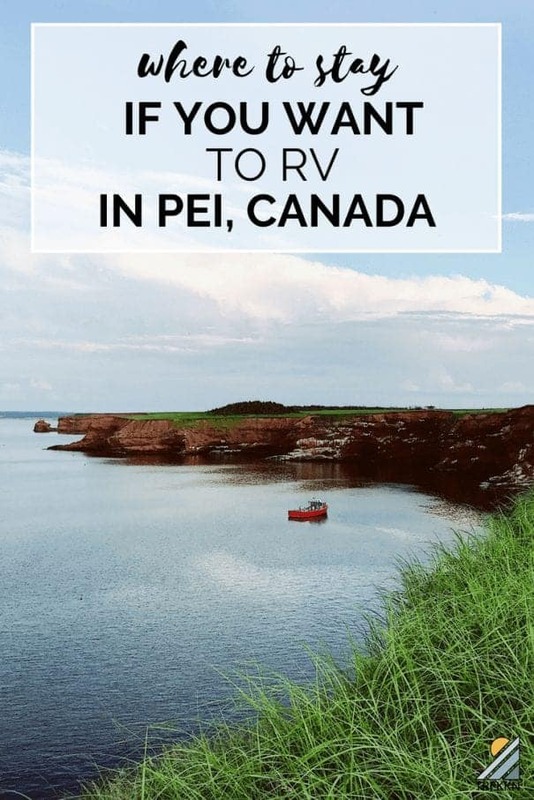 As I mentioned, our friends knew about the PEI RV Campground we ended up staying at through friends of theirs. We love choosing campgrounds by word of mouth. It’s definitely helped keep us out of some not so great situations in the past. It was a nice little campground with full hookups, plus they put us and our friends right next to each other. They have a small pool and really nice and clean bathrooms. They also have a small laundry facility available for use at no charge, but you have to get permission to use them. 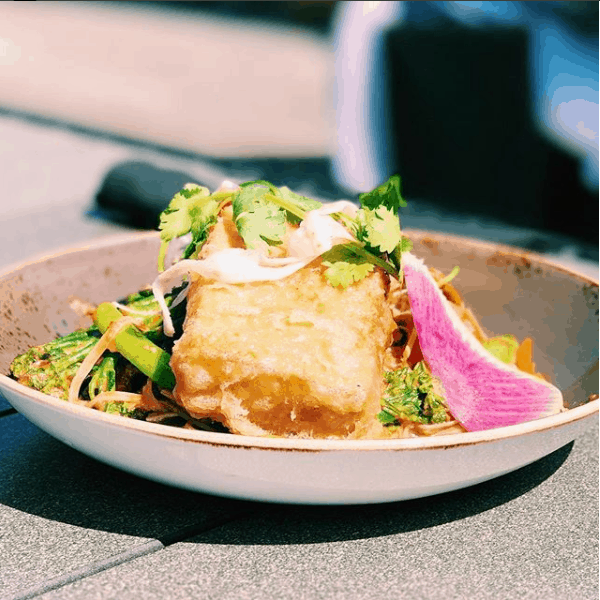 We loved the location because it was a 20-minute bike ride to the ocean and it was a few minutes outside of the hustle and bustle of touristy Cavendish. They were also able to offer us a pass to PEI National Park that kept us from having to pay any fees to explore that amazing spot. That was a nice little perk! For dates they’re open, pricing and more info, be sure to visit their website here. We’ve only stayed at one KOA, but we do know they’re known for being really nice and loaded with amenities. They can also be pricier than other options many times. It sounds like the KOA in Cavendish has everything you need and more. Needless to say, whether you’re tent camping, RVing or staying at a cottage, hotel or lodge…there is no shortage of beautiful places to stay. This is a location we would say is a must-visit in your RV. I can’t wait to go back! 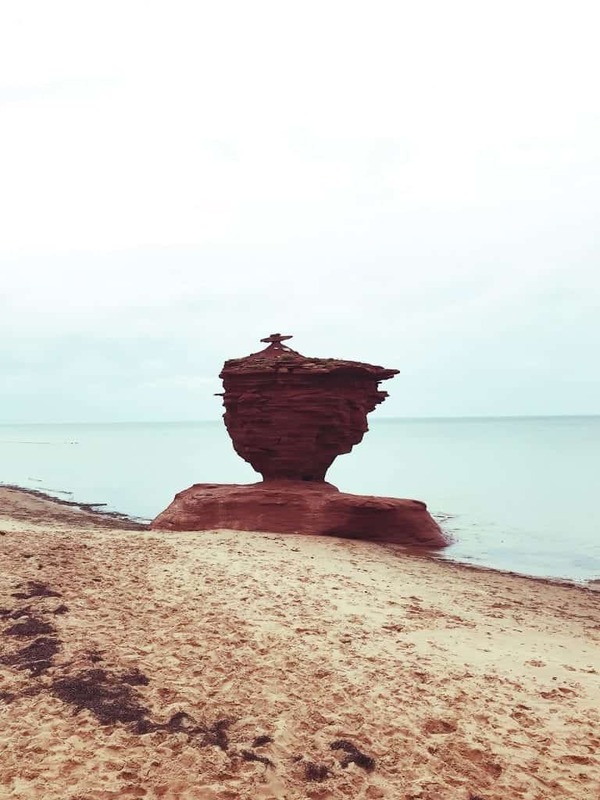 Keep a lookout for our next article about things to do in PEI. 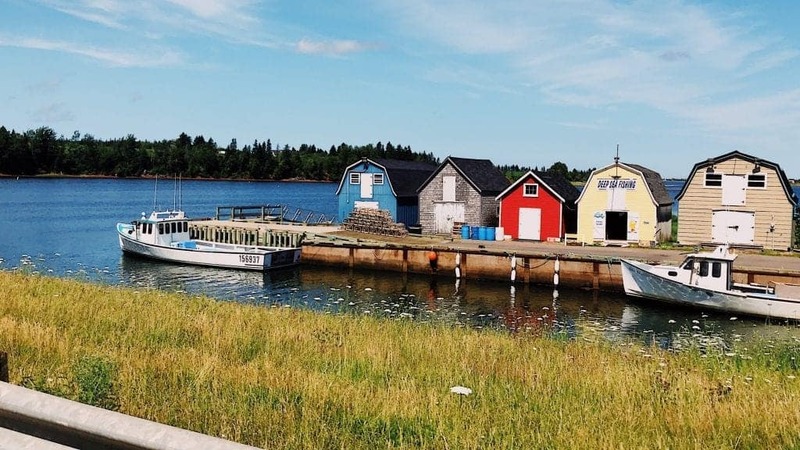 Whether you like Anne of Green Gables, lighthouses or eating your way through a city, we think you’ll love our recommendations!